Are driverless vehicles such as the ELA (ELectric Automation) the future of transportation? As a 100 percent electric autonomous vehicle, ELA may seem like something out of The Jetsons. But this technology is already being used in many countries around the world. Similar driverless shuttles have been deployed in more than 20 countries in areas of dense, urban populations. They connect people to important destinations not al-ways accessible by conventional public transportation, and within large facilities such as airports, hospitals, community centres and university campuses. ELA (short for ELectric Automation) is part of an entry in the Smart Cities Challenge, a Canada-wide competition for up to $50 million in funding for initiatives that will achieve meaningful outcomes for residents through the use of data and connected technology. 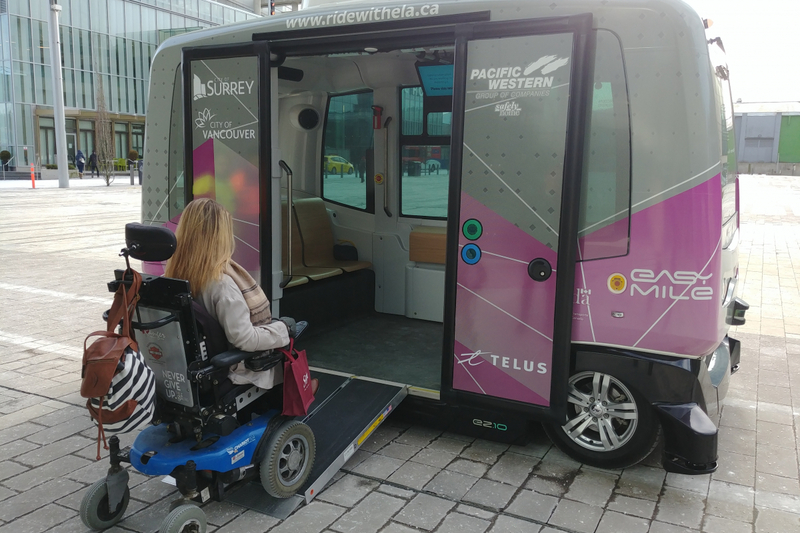 Surrey and Vancouver teamed up to enter the competition and, with support from Pacific Western Transportation, brought ELA to life as an example of a connective technology that could be implemented in the two growing metropolises. ELA uses sensors, cameras and computers to detect objects and understand its surroundings. It has an automatic ramp for accessibility (and a manual ramp if needed). 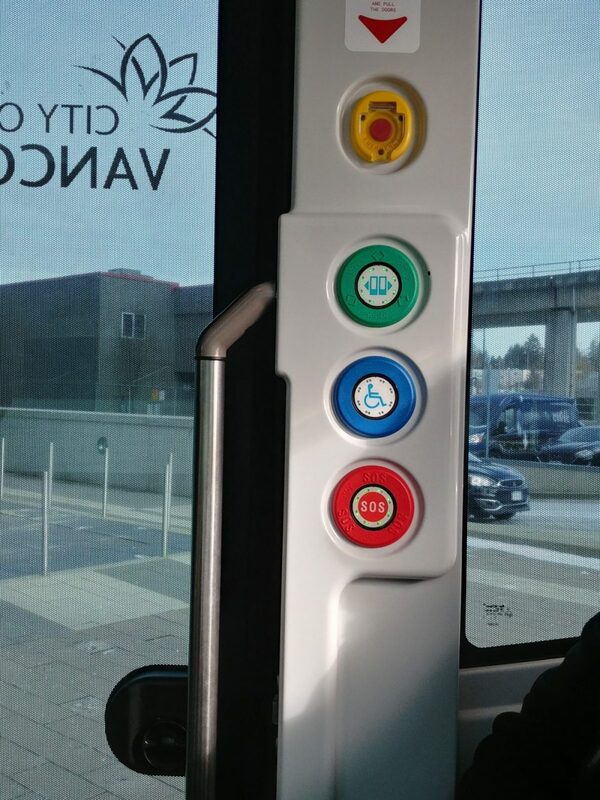 Users activate the vehicle with buttons on the exterior and interior. Once activated, ELA follows a fixed or on-demand route and reacts to its environment to avoid pedestrians, cyclists and other hazards. Micaela Evans, SCI BC Communications and Events Coordinator, was among those who took a spin on the ELA in February. 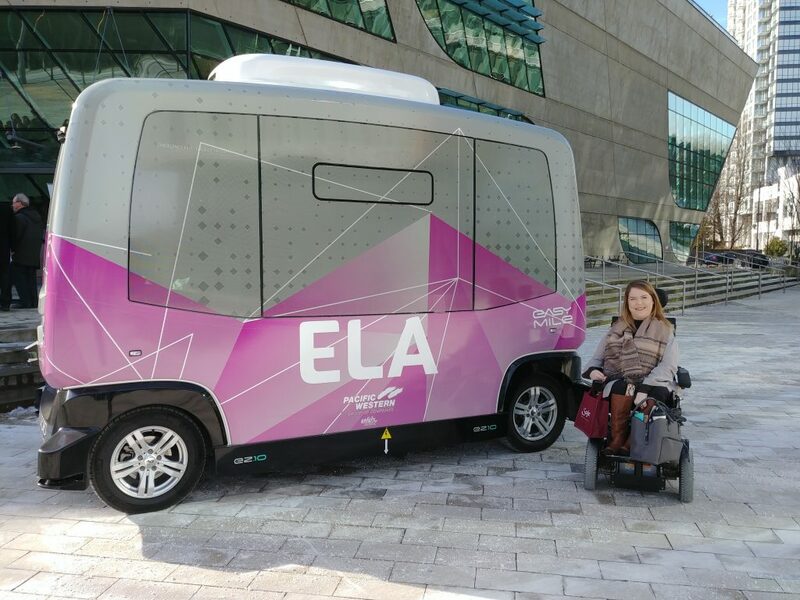 For SCI BC and our Peers, ELA and other driverless vehicles may someday be a viable option to connect people with disabilities to their communities more easily. So naturally, we had to see ELA in action for ourselves. 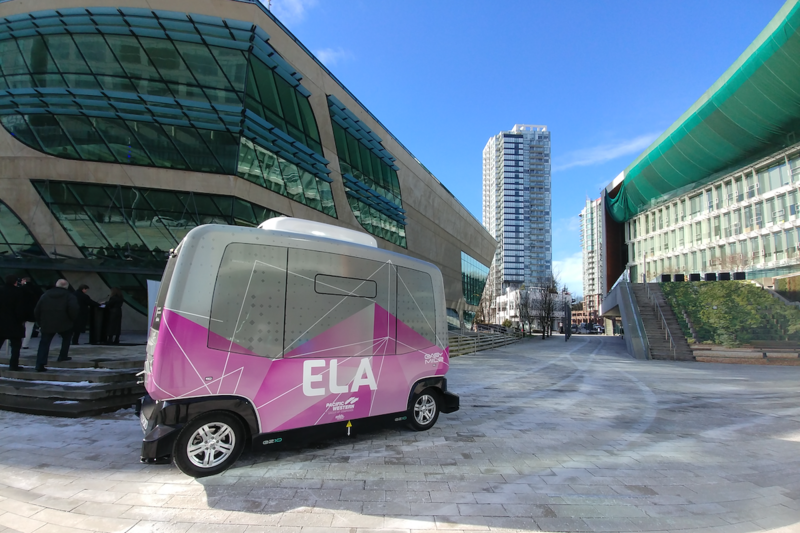 In early February, several SCI BC staff and Peers took a test ride with ELA at the Surrey Civic Plaza. Their thoughts are below. Visit www.smartertogether.ca to learn more about ELA and the Smart Cities Challenge! Read the full Spring 2019 issue of The Spin online!